Replenish your skin with Elemis Sp@home Frangipani Monoi Body Oil. This exquisite treatment oil has long-lasting hydration properties to seal in moisture and leave skin silky soft. Can be used as an intensive conditioning treatment for hair and nails. Intoxicate the senses with an exotic blend of coconut coprah oil and sweet scented frangipani flowers. Ideal for those who want silky, soft and nourished skin. Use warm water to loosen up the oil, then after you cleanse your body, massage oil onto skin, including areas such as your hands, nails and hair. 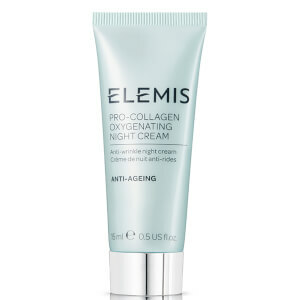 I'm a big Elemis fan and this is one of my favorite products. The tropical scent of frangipani is amazing. The product is liquid oil but turns to a solid until the temp is around 75 so I put it in warm water if its cold. The product makes my skin super soft and I use it on my hair also when it needs a hydrating treatment. I buy this regularly and absolutely love the way it makes my skin feel so silky and soft. The product suspends its form until about 75 degrees and then stays liqud. The scent is tropical and is a real treat! Highly recommend! This Elemis product is a must-have if you want to treat yourself. Why use body lotion when you can use a luxurious, natural oil that wafts a tropical scent sure to make you feel special. It is very hydrating and makes your skin silky. LOVE IT!